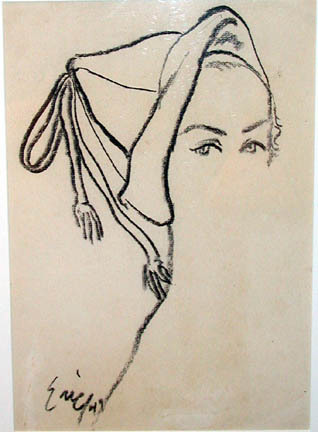 Erickson was a fashion illustrator and advertising artist for magazines, including Vogue. Known for his line drawings, he worked primarily with Wolff pencil, charcoal, or Chinese ink, and also did oil portraits. Ericson, Carl, “Fashion Head,” Westport Public Schools Digital Collections, accessed April 25, 2019, https://collections.westportps.org/items/show/1062.